Home technology devices have come a long way, and many homeowners are discovering that their features aren't just for convenience and comfort. A growing number of technology-enabled home features promote a healthier living space for you and your family. The floors in most homes are grounds for an unsettling array of dust, dirt and other unsavory elements, many of which are tracked in from outdoors. A robotic vacuum can help you keep these and other allergens like pet hair under control with next to no effort. Some models even know when they're low on battery, return to their docking station to recharge then rely on memory to pick up just where they left off. Many are also self-emptying for a virtually hands-free cleanup job after the initial setup. 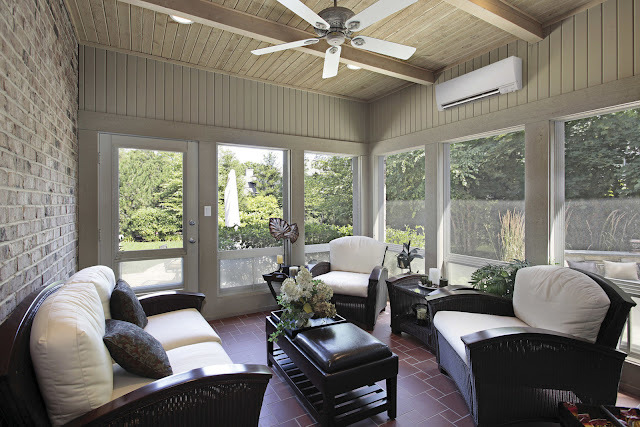 A zoned approach to cooling and heating systems allows homeowners to cool and heat their homes in multiple zones, reducing energy consumption in spaces used infrequently. Today's systems take climate management one step further. In addition to regulating the temperature, a system like Mitsubishi Electric Zoned Comfort Solutions offers advanced, multi-stage filtration that constantly cleans the air to capture and remove contaminants which may trigger allergy and asthma symptoms, spread germs and impact air quality. In addition, features like platinum deodorizing filters on select systems use nanotechnology to absorb and neutralize odors. It's only natural that a device you use to wash dirty hands is often one of the most bacteria-laden elements in a home. However, if you don't have to touch a faucet, concerns about germs may diminish. Hands-free faucets are hardly new; they've been the norm in public restrooms for years. Now these models are more accessible (and affordable) for homeowners, offering the same germ-minimizing and water conservation benefits as their commercial counterparts. Fire alarms and carbon monoxide detectors are obvious essentials for any home, but smart models take protection even further by letting you know about a problem even when you're not at home. By connecting the monitors to a smart device, such as your phone, you can be alerted to potential concerns before they become major threats to your health or even life. An added bonus: many models will also send notices about issues like low battery life, so if you get the alert while you're already out, you can save yourself an extra trip. Most experts agree that natural light is good for your overall wellbeing. Among the benefits are its mood-boosting abilities, and some research indicates it's better for your eyes than the harsh glare of artificial bulbs (assuming you don't stare directly at the sun, of course). Make it easy to fill your home with ambient natural light using smart technology for your window coverings, including blinds or drapes. Whether powered by a remote control or your smartphone, you'll have the ability to create a lighter, brighter room at your fingertips. 7. Don't overlook the outdoors.